Ka'olu Holt pitched a complete game to lead Hawai'i to a 3-0 victory over South Korea in the Little League World Series championship. The Honolulu Little League team was nearly flawless on the mound and in the field both Sunday and throughout the tournament. Ka'olu Holt throws a shutout for Hawai'i as it takes home the Little League World Series title. Hawai'I records the final out to win the 2018 Little League World Series with a 3-0 win over South Korea. Hawai'i takes a 3-0 lead over South Korea in the Little League World Series championship game after a series of miscues brings in two runs. With the bases loaded, South Korea's Jun Woo Lim avoids colliding with his teammate to make a nice catch and keep the score at 1-0 for Hawai'i. Mana Lau Kang hits a solo home run to give Hawai'i a 1-0 lead over South Korea in the Little League World Series championship game. Georgia third baseman Caden Olvey makes an amazing stop at third base and throws to first for the out while still on the ground. Masato Igarashi's two-run home run to the bushes in center field gives Japan a 2-0 lead over Georgia in the LLWS third-place game. Hawaii and South Korea have been the two most dominant teams in the Little League World Series entering Sunday's championship game. Beyond the fun it provides, the Little League World Series also teaches many valuable lessons to its participants. Hawaii's Aukai Kea struck out 15 in another dominant effort against Georgia as Hawaii advanced to the Little League World Series championship with a 3-0 victory. Hawaii will face South Korea, a 2-1 winner over Japan, in Sunday's title game. Hawaii's Aukai Kea strikes out his 15th Georgia batter to clinch a 3-0 victory and a Little League World Series United States Championship. Bo Walker tracks down a fly ball in deep center field and makes an incredible catch to take a hit and potential run away from Hawaii. South Korea wins the LLWS International Championship when the team's pitcher catches a line drive and throws to first for a game-ending double play. It's a once-in-a-lifetime opportunity, but for teams around the globe, the Little League World Series comes with serious financial sacrifice. Ji Hyung Choi hammers a home run to give South Korea a 1-0 lead over Japan at the Little League World Series International Championship. Errors helped Georgia and Japan move on to the U.S. and international championship games, respectively. In the bottom of the 2nd inning, New York has a difficult time fielding the ball allowing Georgia to take the lead. Yuya Ito hits a slow roller that the shortstop overthrows to first, putting Japan up for good 1-0.
Who's your favorite player, team, singer, actor, etc.? 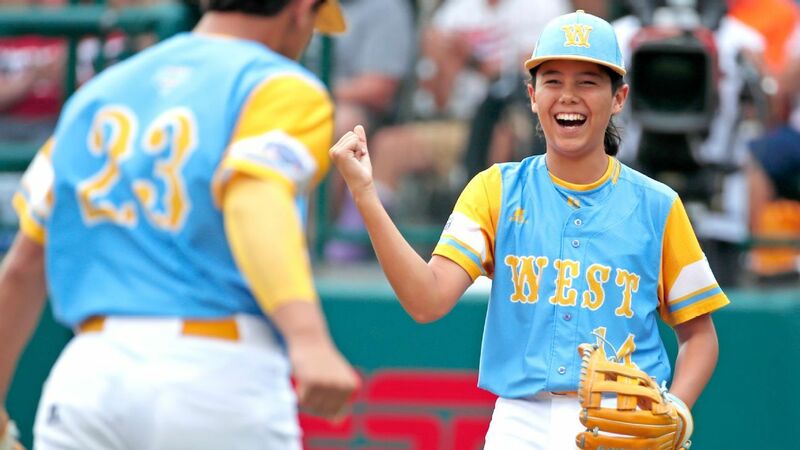 The top responses from players at the Little League World Series are revealed. 2018 Little League World Series players discuss the importance of teamwork and having fun. Sean Yamaguchi's grand slam led Hawai'i to a 10-0 victory over New York and a spot in the U.S. championship game at the Little League World Series. Hawai'i's defense allows nothing in the second inning with a diving catch and a tough throw to first base. Sean Yamaguchi hits a grand slam in the bottom of the second inning to extend Hawai'i's lead over New York.